It’s that time of year again. Companies are bracing for the holiday rush and large one day sales by ramping up marketing campaigns and hiring seasonal workers. Record breaking sales are predicted in this year’s holiday reports including during the anticipated, upcoming Black Friday. But the sales won’t be in stores! Trends this year see shoppers staying home and avoiding stores this Black Friday and throughout the holiday season. Sales on Black Friday are expected to reach over $3 billion this year, an increase of 11% over last year’s sales totals. 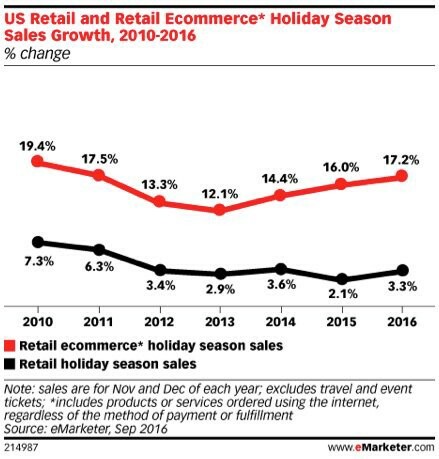 eMarketer estimates online holiday sales of $95 billion and the Deloitte Holiday Survey predicts $96 to $98 billion. The retail market has seen a major shift of consumers’ preference for shopping online over in-store purchasing. This Black Friday and during the holidays, brick-and-mortar stores will see a large decrease of shoppers compared to last year. Companies must have ecommerce offerings ready to handle the influx of customers this season. According to Deloitte, fewer people plan to visit standalone “big box” retail stores, a drop of 4 percent from 63 to 59 percent. Plans to visit traditional malls, fell from 53 percent to 50 percent. Only 38 percent plan to visit independent stores that are not in malls. This is largely in part due to the emergence and market strength of marketplaces, such as Amazon and eBay. New additions to this landscape include Box stores like Walmart, adding this capability with their purchase of Jet.com. These marketplaces give consumers access to millions of vendors; Walmart has an estimated 1,000 vendors and growing; Amazon probably has 2 million vendors while eBay has some 25 million vendors. 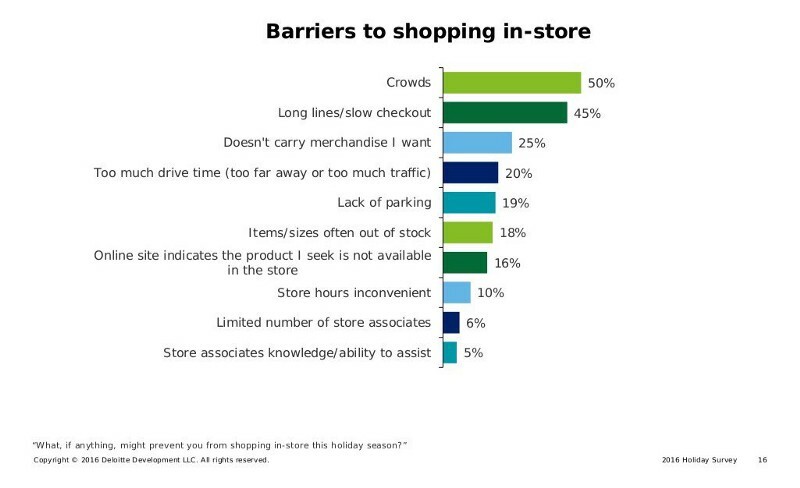 There are also a number of barriers to shopping in-store that play a part in this decrease of visits expected this season. These include avoiding the long lines associated with Black Friday and holiday shopping, as well as drive time, parking, and lack of product availability. There is also a predicted rise in shopping both in-store and online, to research and test products and to find the best deals. ‘Two-thirds (66 percent) of respondents expect they’ll be “webrooming,” meaning they will look at items online before making a purchase in a store. Along that same line, half (50 percent) of shoppers will take part in “showrooming” by going to a store to look for an item, then searching online for the best price and making their purchase there instead of in store.’ To take advantage of this, ecommerce companies need to reach and convert these buyers at the online research stage. Holiday campaigns and Black Friday deals are already in effect. Preparation and marketing for Black Friday began weeks ago for many companies. Advertisements, promotional emails, and social media campaigns have been reminding customers to visit sites for special sales and discounts. SEO, keyword targeting, backlinks and landing pages have been setup to direct people to ecommerce stores and to convert them. Seasonal promotions have become so much a part of our expectations, that the trend to wait for discounts and sales has increased dramatically. Ecommerce companies have to reach shoppers and make them aware of sales, long before the sale begins. Black Friday is no longer a one-day event, but something more like its own month on the calendar. With the addition of Cyber Monday, deals now run long through the Thanksgiving weekend and into the Christmas season. Discount codes like HOLIDAYS2016 will run from now, until 2017. Some retailers have been marketing Black Friday deals for weeks already. Others were referring to ‘Black Friday pricing’ as early as September. Amazon sent an email on November 11th announcing their upcoming Black Friday sales week; Tommy Hilfiger sent one to their subscribers on November 8th announcing Black Friday store saving beginning the next day. Digital measurement firm comScore Inc. expects mobile retail traffic will be three times greater than desktop retail traffic and higher than average every single day of the holiday season, as during the same period in 2015. The increase of mobile use can be attributed to three mobile trends: the rise of the mobile app, Social Media as shopping inspiration, and ‘webrooming’ driving sales. To take advantage, ecommerce companies must ensure they are well represented on mobile, in online marketplaces, and on social media. They must optimize the searchability and speed of their mobile sites and they must build loyalty and collect info through mobile promotions and campaigns. Mobile apps provide ecommerce marketers added functionalities like location-based reminders, push notifications, and timed promotions. 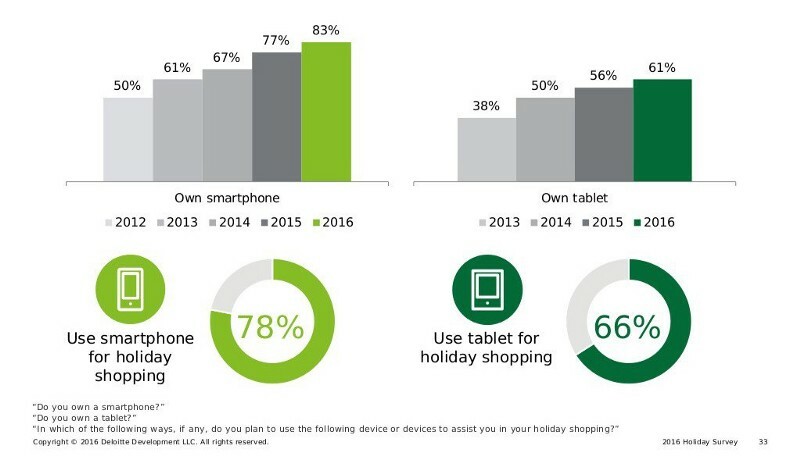 Consumers also will use their mobile devices as personal shopping assistants this year more than ever. BLACK FRIDAY IS NOW GLOBAL! Just because Black Friday stems from the shopping increase for the day after Thanksgiving, does not mean its influence hasn’t spread from Thanksgiving celebrating countries. Black Friday is now a global phenomenon and increasingly also becoming non-US companies’ largest sales day of the year. 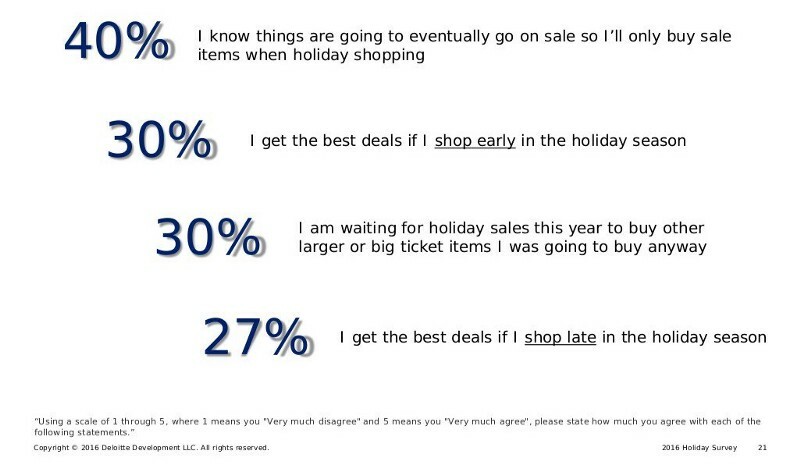 A November 2016 survey by One Hour Translation, indicates that online shopping in Black Friday is expanding beyond the U.S.and gaining popularity in other developed countries. According to the survey, 19.5 percent of Canadians said they plan to buy online on Black Friday. The scores show 12 percent of shoppers in Germany and 27 percent of shoppers in the U.K. also plan to shop on Black Friday. This Black Friday is predicted to be the U.K.’s biggest online shopping day ever. This trend is being seen across the globe in places such as Southeast Asia, Nigeria, South Africa, Finland, and Denmark. 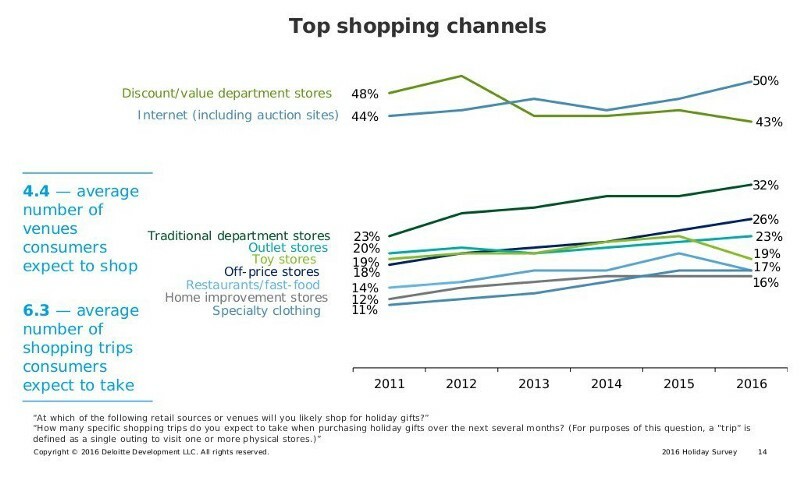 Marketing needs to be optimized to follow the trend for shopping online this holiday season. Campaigns and promotions need to be started early and carried out until the end of the year. Consumers must be made aware of deals and sales early and must be reminded as the dates close. SEO and backlinks should be set in place to direct shoppers to your store. This includes targeting holiday keywords and building links to your site from external sources. 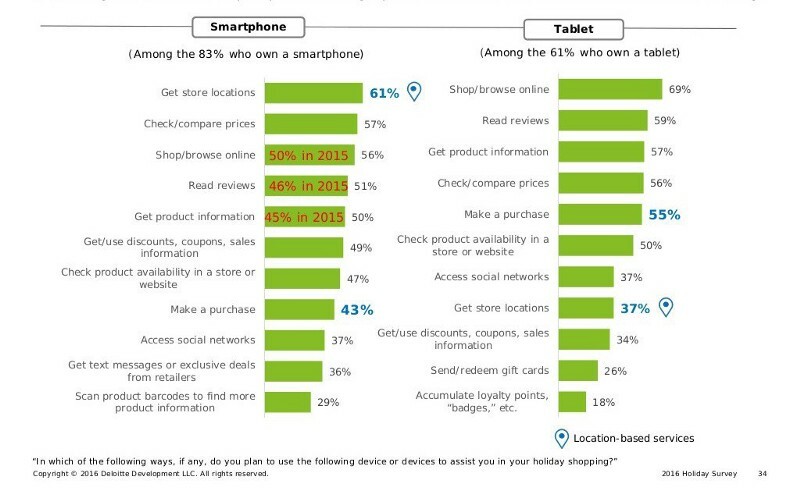 With the increased use of mobile devices and apps for shopping, marketing needs to be mobile ready. Sites must be tested across all devices and operating systems with images and videos optimized for performance. Mobile push notifications, location based reminders and geo-targeted ads can bring in local consumers to your online store. Discounts must be created intelligently so they increase sales without hurting your bottom line. In a recent Adobe Digital Insights survey, consumers still consider email promotions to be the best at raising awareness and converting, followed by display ads. Customers need to hear about your holiday sales through your ad copy, email campaigns, blog posts, and dedicated landing pages. 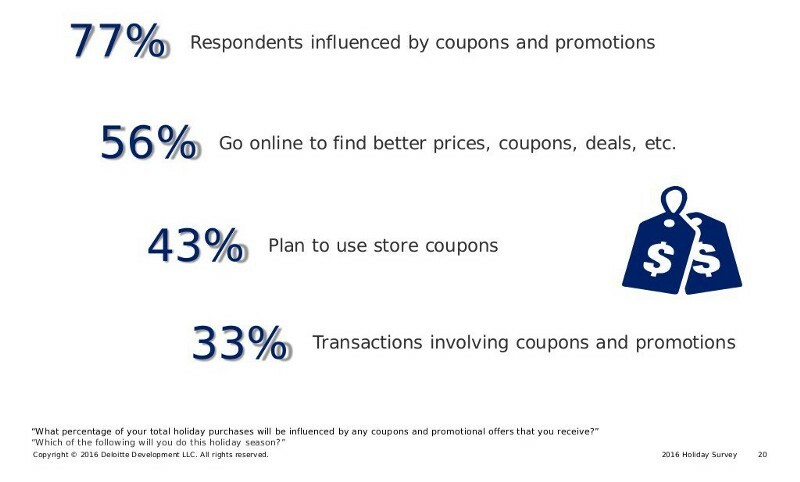 Consumers are using social media as inspiration for shopping. These avenues must be advertised to with targeted messages to give gift ideas and product info. Product and sale research is now the first thing most consumers do when shopping. Good reviews of your product should be front-and-center and product images, video and guides should be showcased. Deloitte estimates that one-third of gift purchases will occur as a result of a sale or promotion. The search for discounts will steer a good deal of online shopping, as 56 percent of consumers go online to find bargains. Join our newsletter for more Black Friday and Holiday news and tips!